Seller will give you a gift certificate in the amount of 17,9 RUB for a positive review of the product purchased. 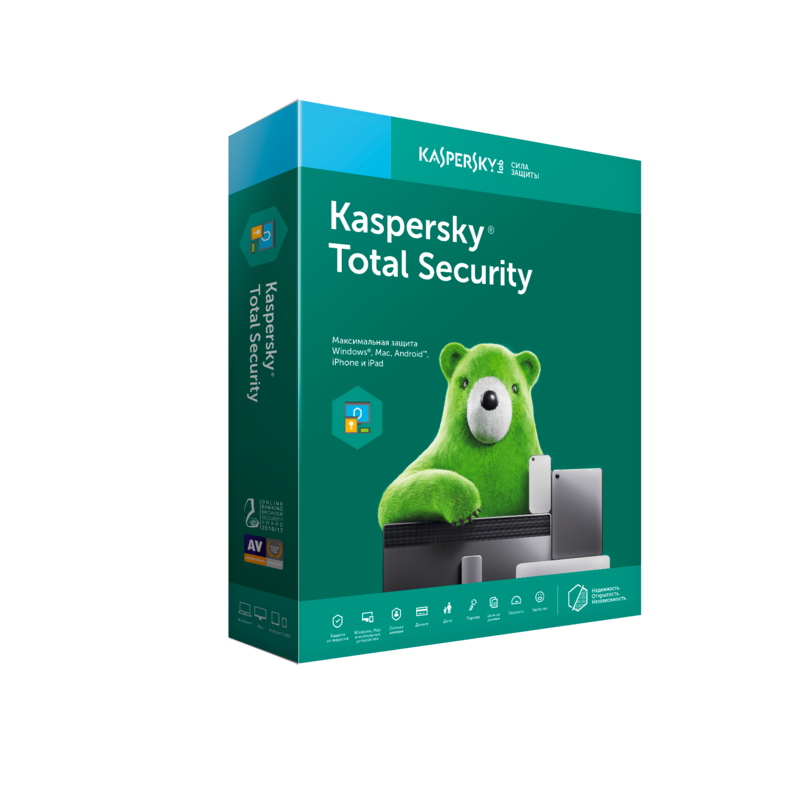 Kaspersky Total Security 2018 for all devices: EXTENSION * for 1 year for 3 devices. The solution for maximum protection of data stored electronically on Windows, Mac and Android devices. The product is intended for buyers from Russia. You can activate the code only within the following countries: Russia. In addition to the basic product, the product includes protection of Internet connection, web camera, payments on the Internet, children from unwanted information, as well as backup, encryption of valuable data, password manager, the ability to search for and install software updates and uninstall programs. The buyer receives only 1 (one) activation code of the form XXXXX-XXXXX-XXXXX-XXXXX, the license validity period is counted from the FIRST ACTIVATION of the product on one of the devices. If there is no activation code for the previously purchased software, the license will be valid for 8 months. During installation on a PC, you can activate a trial version - the program will work and be updated for free for 1 month. Then you can buy a commercial version (and enter the activation code), the program will work and be updated for another 12 months *. Before buying a license, you have the opportunity within 30 days to determine how much this program meets your needs, is suitable for your computers / devices and meets your expectations. Therefore, the seller DOES NOT REFUND costs when selling licenses. All transactions are FINAL. From the moment of payment the amount is not refundable. After purchase, please leave your review! Seller will give you a gift certificate in the amount of 17,9 RUB for a positive review of the product purchased..